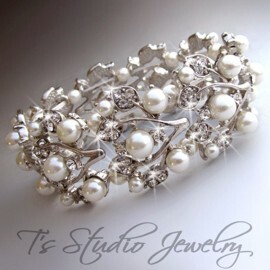 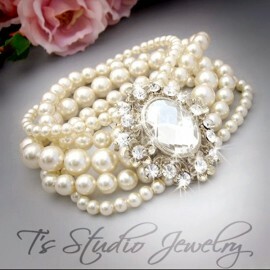 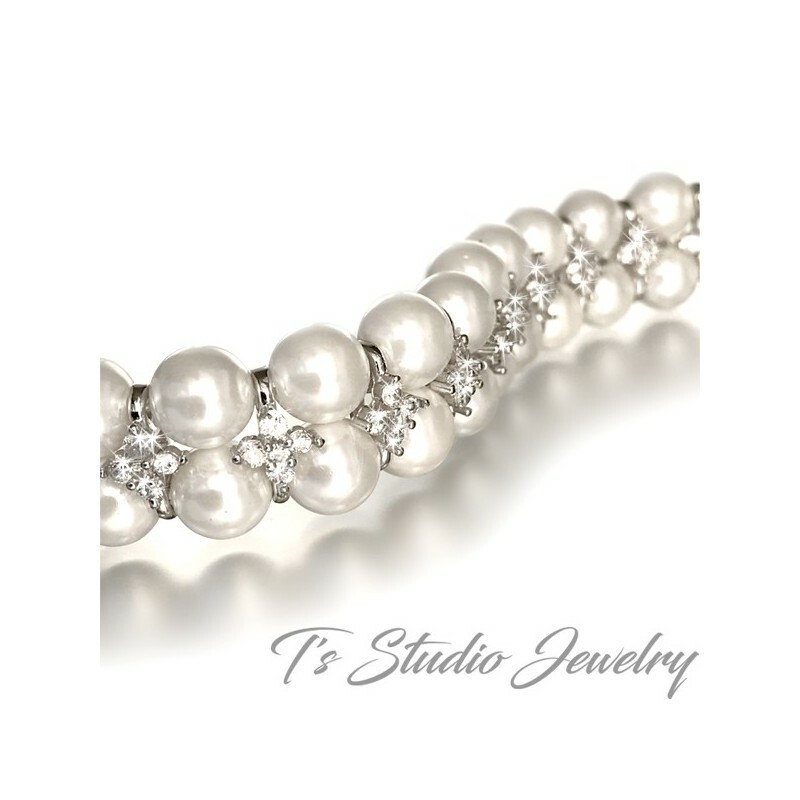 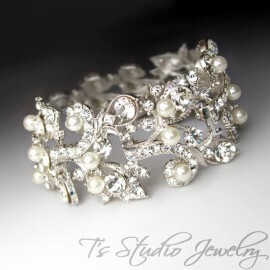 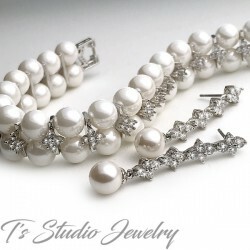 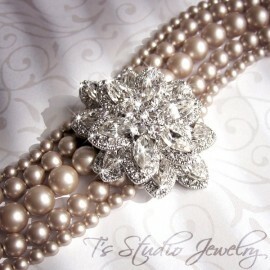 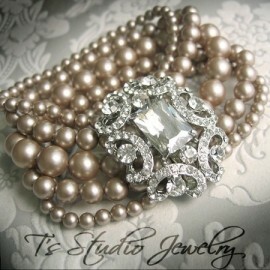 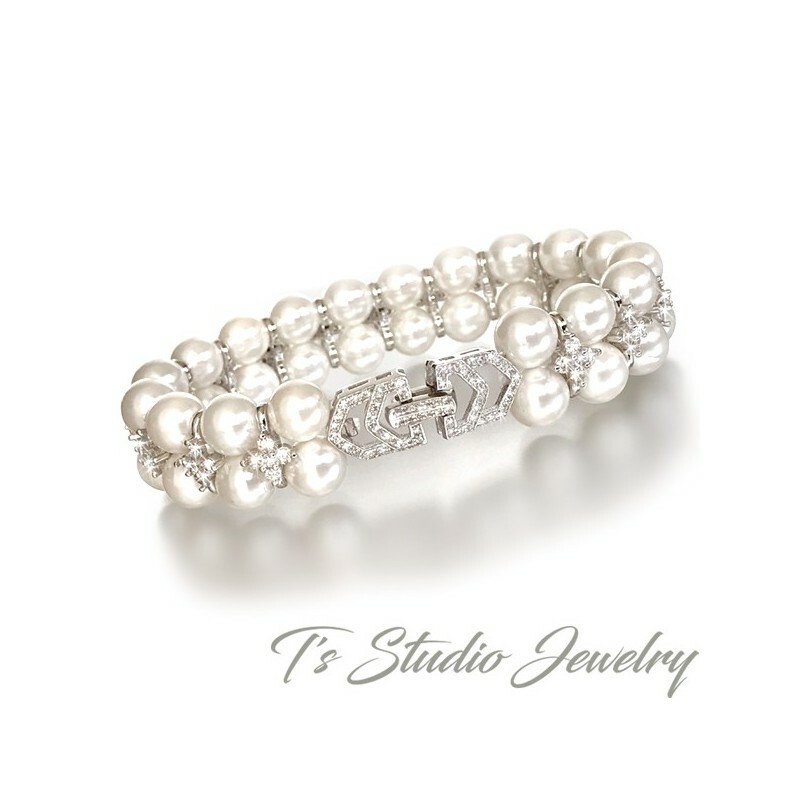 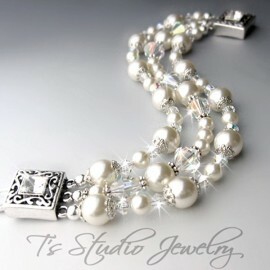 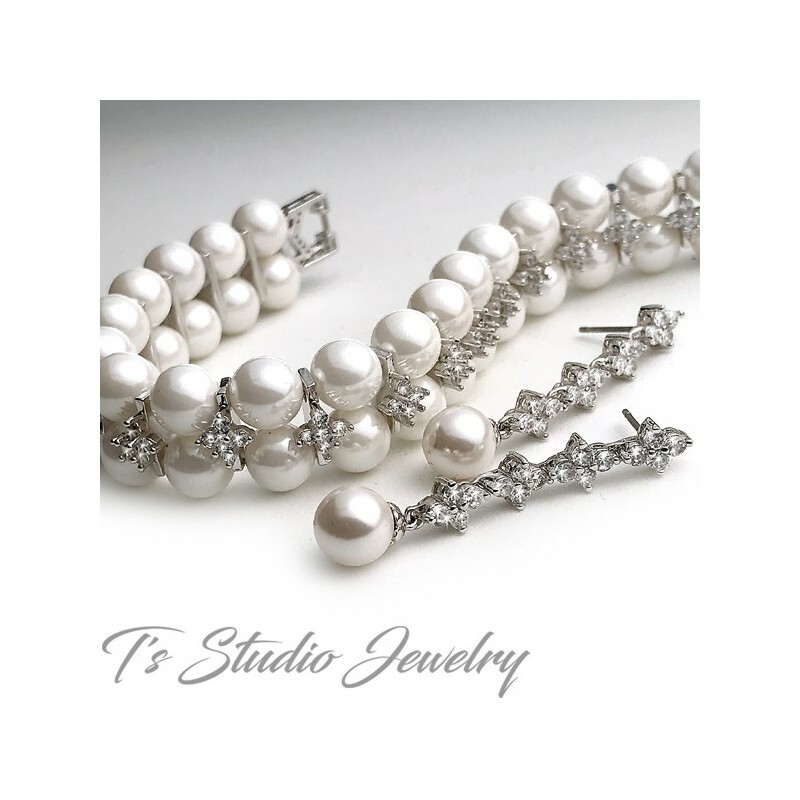 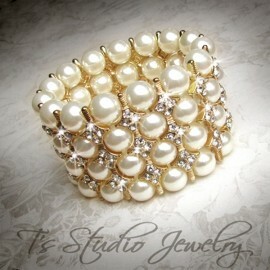 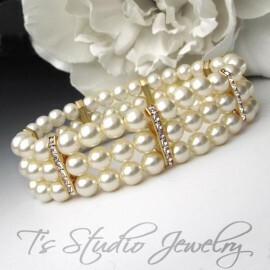 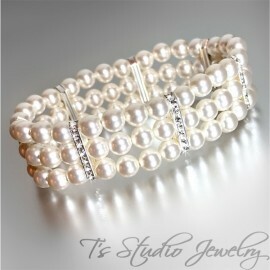 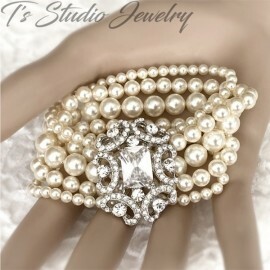 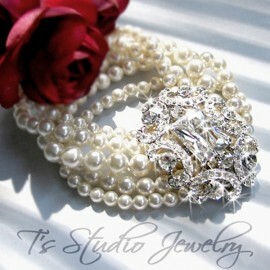 This beautiful bridal bracelet is a combination of round pearls with CZ cubic zirconia crystal spacers. 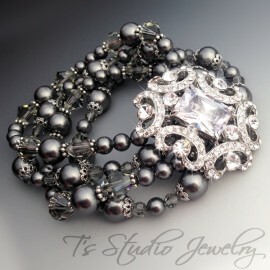 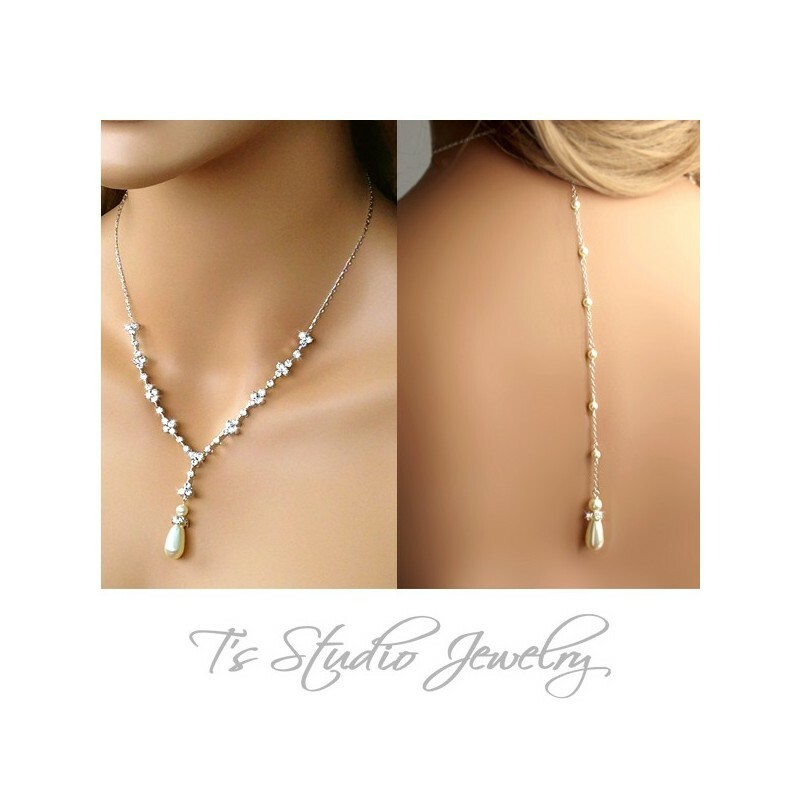 The elegant clasp is a pave style design encrusted with tiny CZ crystal stones. 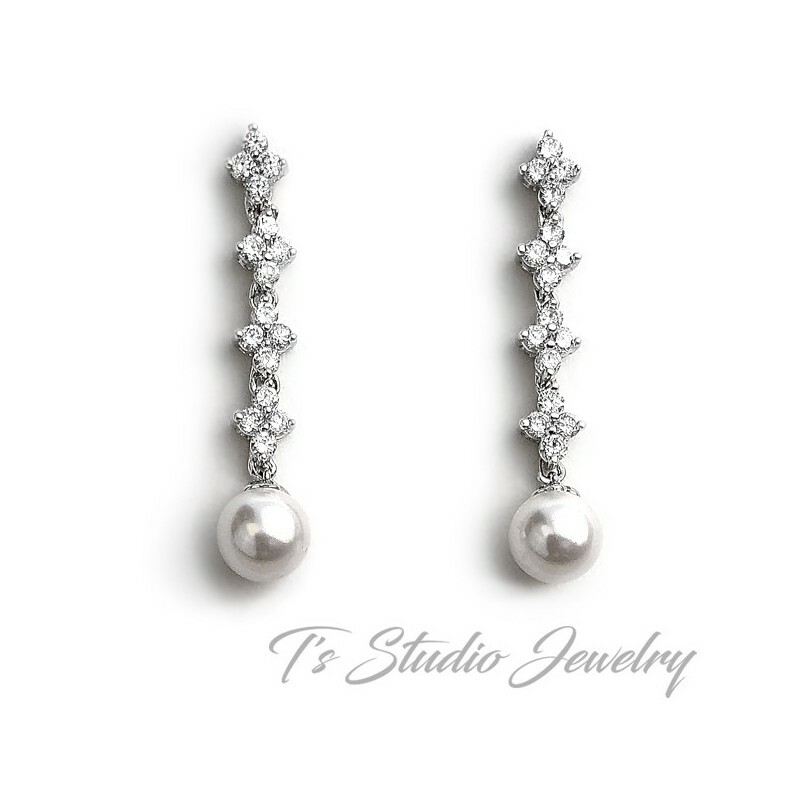 The matching earrings feature a soft round pearl drop from a set of sparkling cubic zirconia stones. 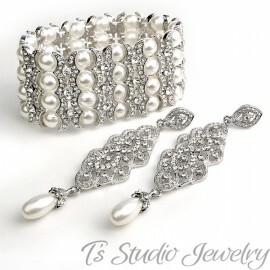 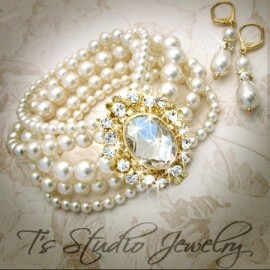 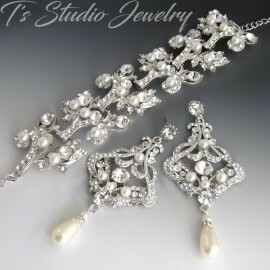 This listing includes both the bracelet and earrings. 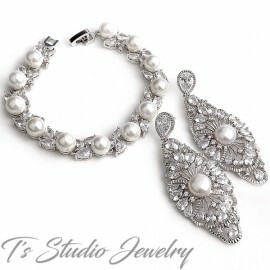 Also sold as separate items.